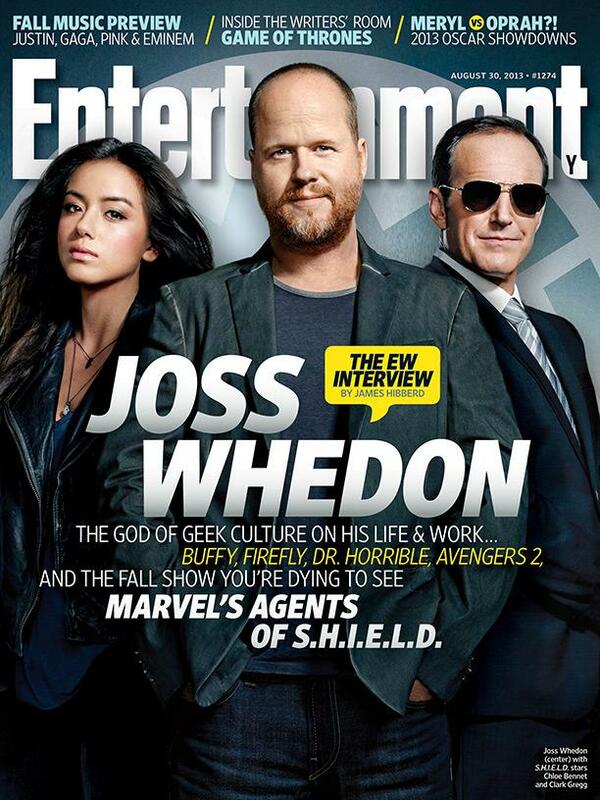 This week's issue of Entertainment Weekly, due on newsstands Friday, features Marvel's Agents of S.H.I.E.L.D., ABC's hotly-anticipated drama set in the Marvel Cinematic Universe, on its cover. Expect other projects to be covered as well; while it's a shot from an Agents of S.H.I.E.L.D. 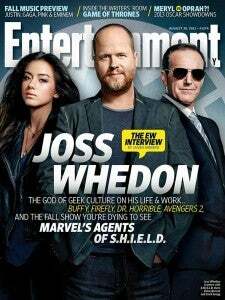 photo session that makes the magazine cover, the article itself is a Q&A with Whedon--so it would be difficult to believe that everything from Doctor Horrible 2 to Avengers: Age of Ultron doesn't sneak into the conversation at some point.